It's always nice to see mail arrive from Jaromir, whom I think of as an old friend, though we've never met. He has generously sent his lovely work to many Mail Art exhibits. He has a distinctive style that is whimsical and interesting. 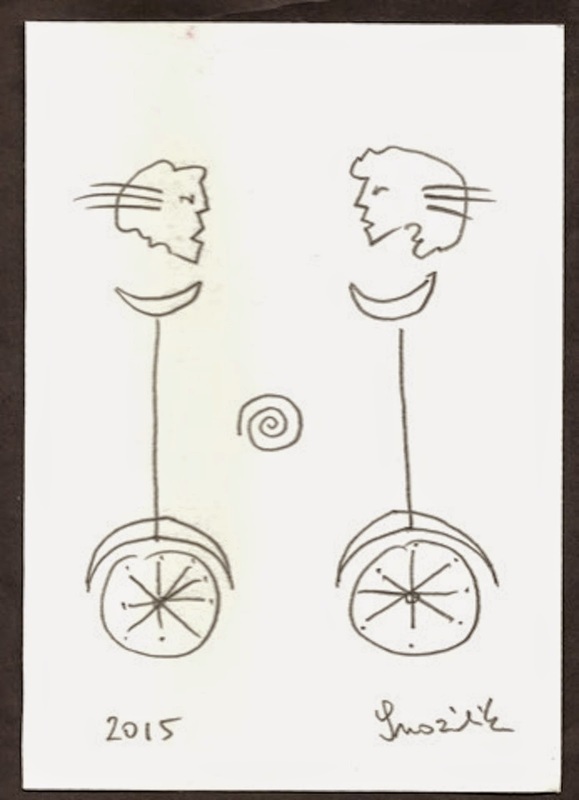 This is a pencil drawing and is entitled "Love Acrobats." You can see more of Jaromir HERE. Thanks for this delightful drawing, Jaromir.